Princess جیسمین, یاسمین. It took me the whole morming e.e'. HD Wallpaper and background images in the disney crossover club tagged: disney crossover disney crossover jasmine kida. 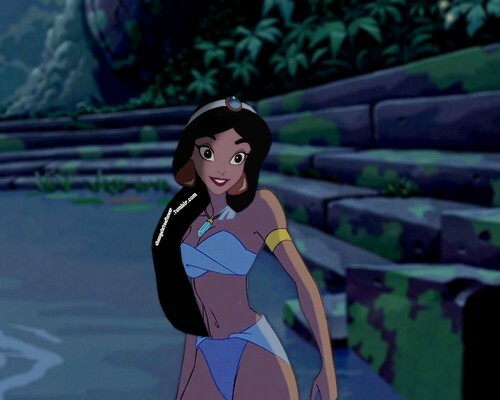 This disney crossover photo might contain بکنی, دو ٹکڑا swimsuit, غسل سوٹ, دو سومساٹ, غسل سوٹ ٹکڑے, swimsuit کا, swimwear کے, غسل سوٹ, سوئمنگ کاسٹیوم, غسل کاسٹیوم, سومساٹ, swimwear, and کاسٹیوم غسل.